A flashback of Etta James's top style moments. Etta James is known for her powerful voice and personality, but if you take a moment to look at her fashion, you’ll find it equally as fabulous. James’s style could best be described as elegant with an edge. Low necklines, and form-fitting dresses showed off her curves, which she always accented with sparkling jewels. 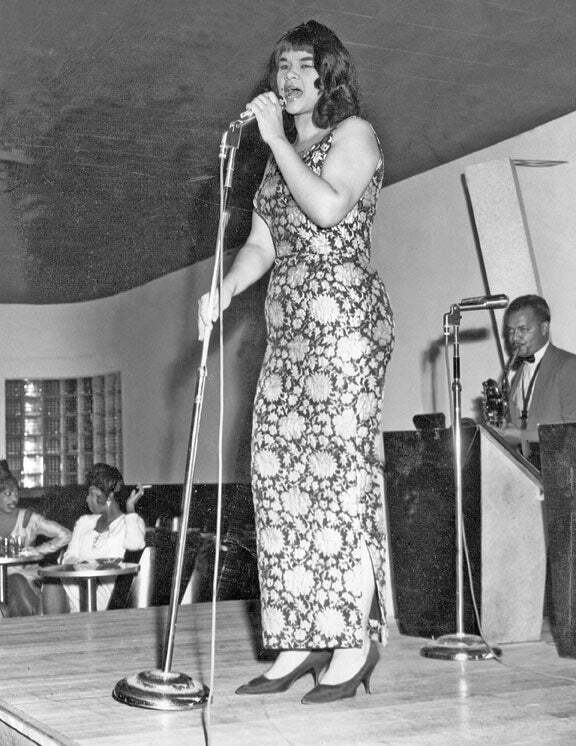 Here, we pay homage to the lovely Etta James and her vintage vixen style.